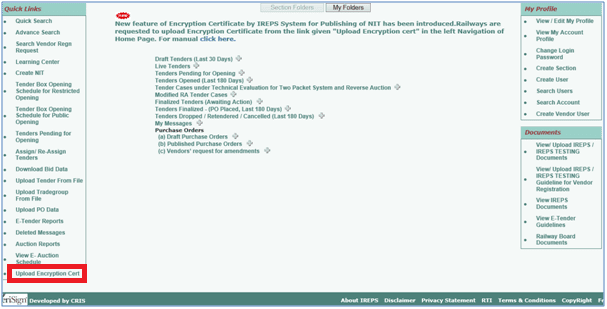 New feature of Encryption Certificate by IREPS System for Publishing of NIT has been introduced. IREPS application introduced new feature for publishing of NIT. Now Railway users are not required to attached the public key of Encryption Certificate at the time of publishing of tenders. Public key of Encryption Certificate will be attached automatically with the tender when it becomes published. 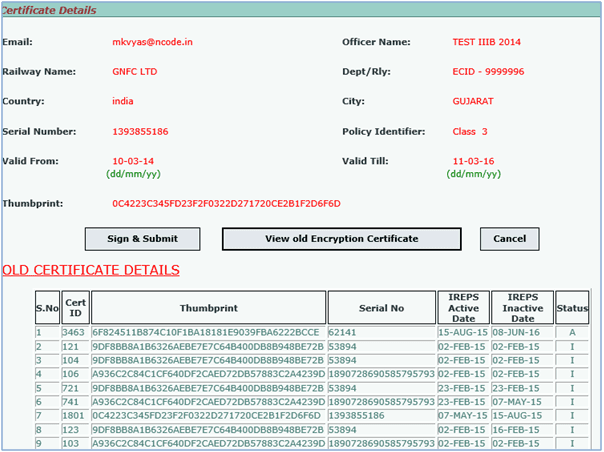 To use this new feature Railway departments needs to upload their Encryption Certificate into their account. 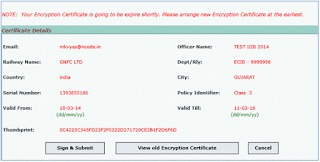 This is one time job and Encryption Certificate needs to be updated at the the time of certificate expiry. 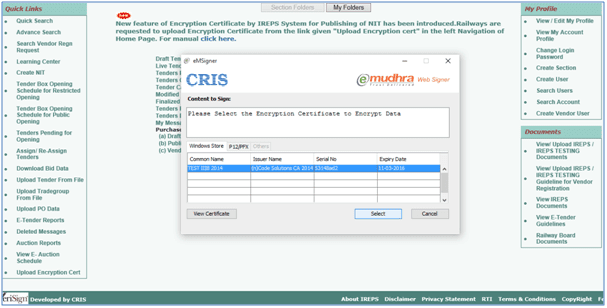 Process shown below that how to upload Encryption Certificate? 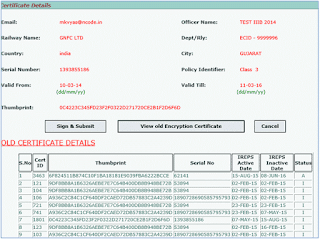 Click on the link 'Upload Encryption cert' available in the left navigation of logged in user's home page. Next window will show the details of the Encryption Certificate. 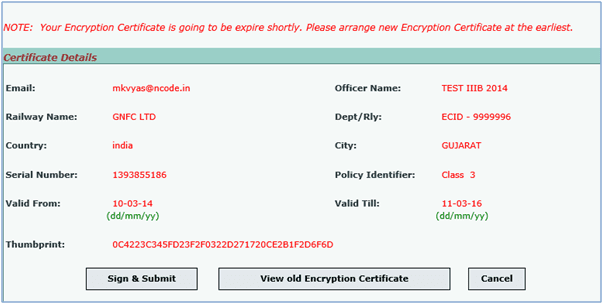 If you want to view the old Encryption Certificates for your department then click on the 'View Old Encryption Certificate' button. Verify the details of Encryption Certificate and click on 'Sign & Submit' button to upload/update the Encryption Certificate. 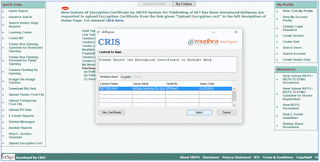 After successful upload/update of Encryption Certificate you will get a confirmation messgae. Now you are not required to attach the public key of Encryption Certificate while publishing the tenders, publick key of Encryption Certificate will be attache automatically with the tenders.